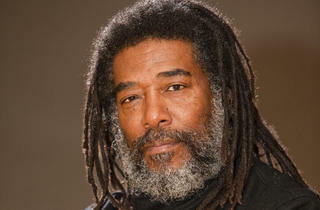 Wadada Leo Smith may never achieve household-name status, but he’s currently enjoying a pretty sweet moment. Last year, the septuagenarian trumpeter-composer issued Ten Freedom Summers—a 4.5-hour suite inspired by the heroes of the Civil Rights movement—which garnered critical raves and recently landed on the list of Pulitzer finalists. Those who’d been following Smith’s work knew Ten Freedom Summers wasn’t an isolated peak; it capped a feverishly productive period, which found him excelling in settings ranging from the funky electroacoustic mini orchestra Organic (heard on 2011’s Heart’s Reflections) to intimate duos with master percussionists such as Jack DeJohnette and Louis Moholo-Moholo (featured on 2009’s America and 2012’s Ancestors, respectively). The focus this week, though, is on the big kahuna: Ten Freedom Summers, performed over three consecutive nights. The work alternates—and sometimes combines—the bold yet sensitive avant-jazz interplay of Smith’s Golden Quartet with lush, transporting chamber-music episodes, performed at Roulette by the Pacifica Coral Reef Ensemble. Unlike We Insist! : Max Roach’s Freedom Now Suite and other Civil Rights–themed jazz classics, Ten Freedom Summers takes a wordless approach, evoking figures such as Emmett Till—Smith grew up in segregated Mississippi, near where the boy was murdered—Rosa Parks and Medgar Evers, rather than explicitly telling their stories. For this New York premiere, multimedia artist Jesse Gilbert adds video, augmenting an already immersive experience. At the center of it all is the leader’s inimitable brass tone, alternately piercing and prayerful, animating history through sound.